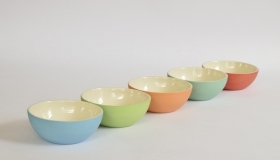 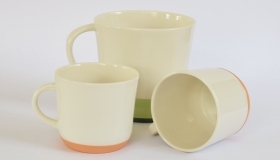 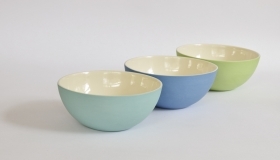 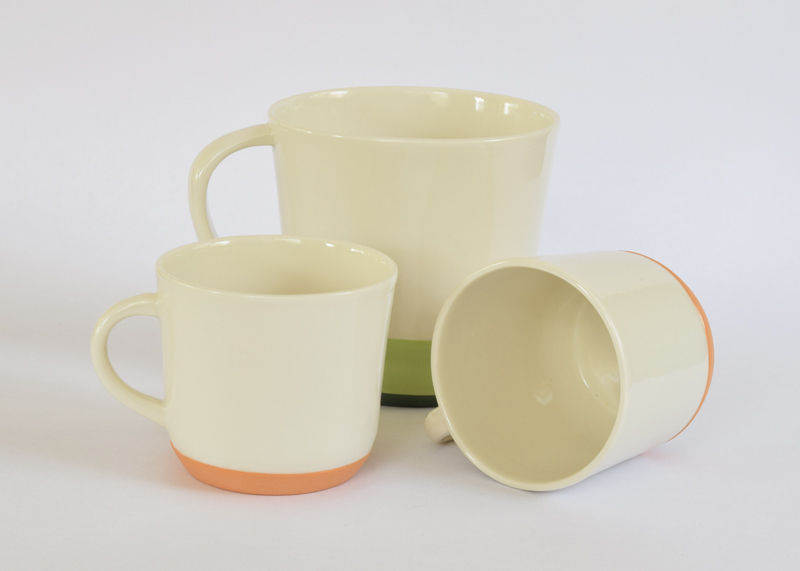 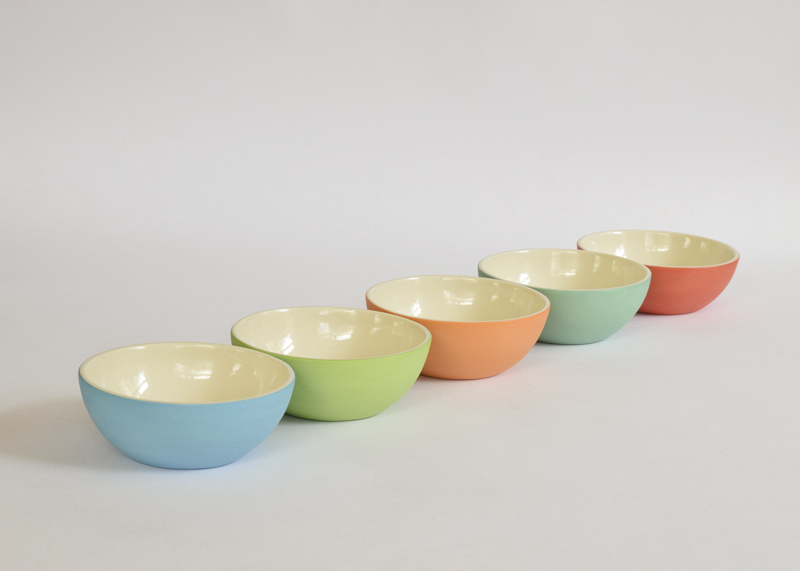 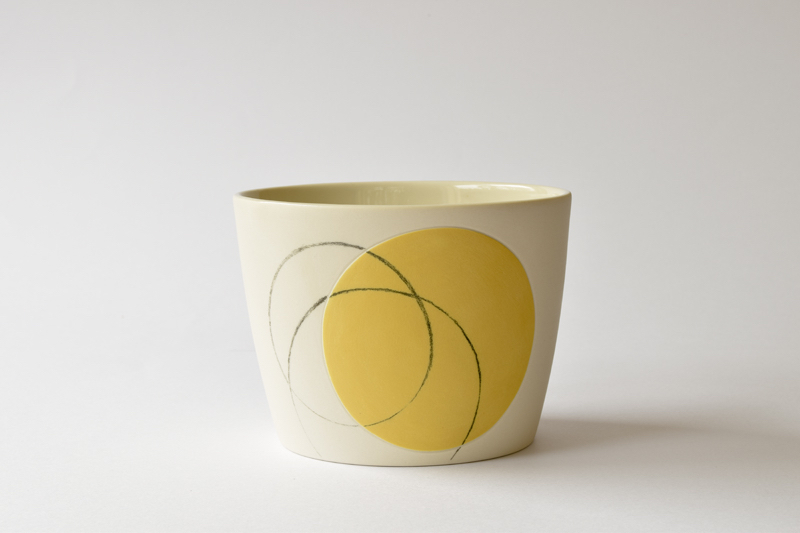 Adele makes a range of functional porcelain objects; butter dishes, mugs, bowls, serving plates, vases and planters. The simple forms are slip cast using liquid porcelain, and once dried and finished, are painted with layers of coloured slips to create vivid surfaces. 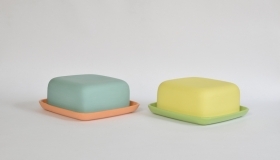 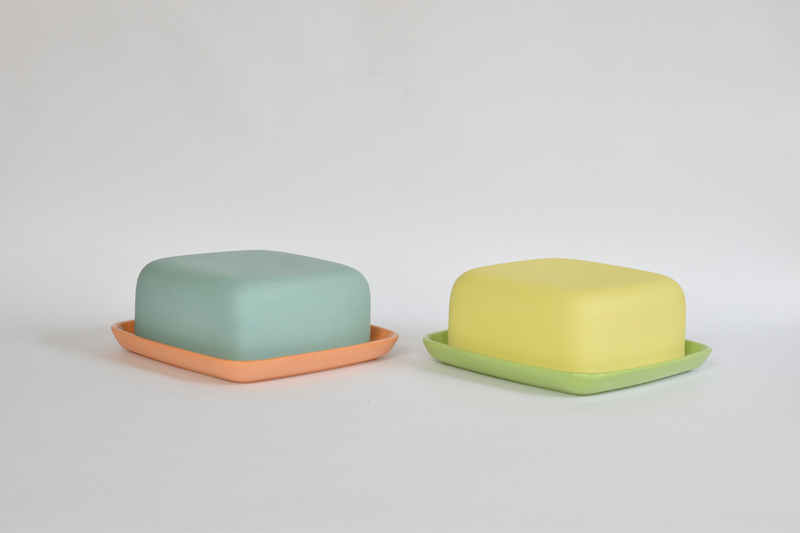 The coloured clay is left unglazed, enhancing its tactile quality and is contrasted with shiny glazed surfaces. 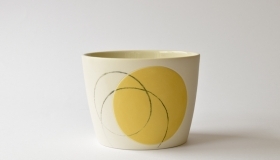 Adele works from her studio at her home in County Waterford. 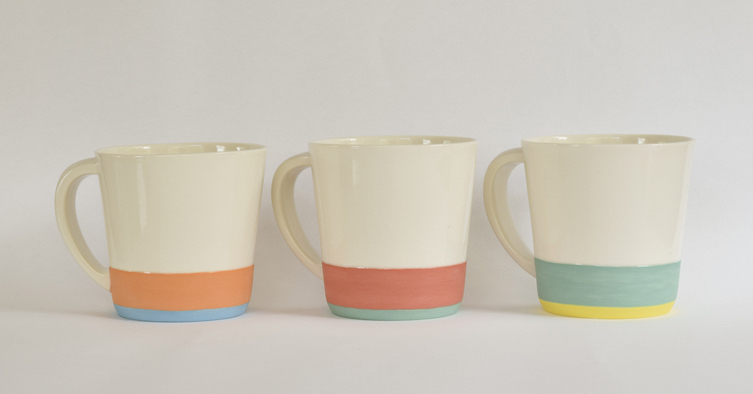 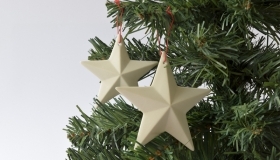 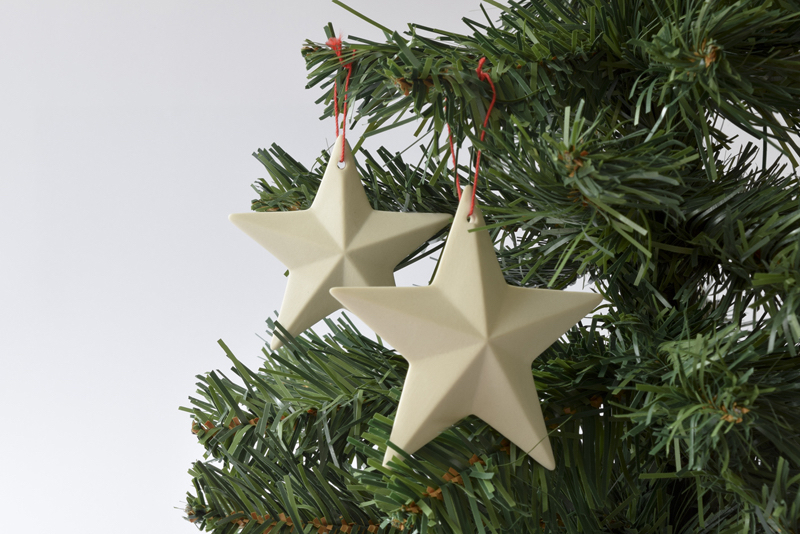 She strives to make useful, simple objects that people can enjoy and use everyday.